As soon as we see The Cove Dining Co my friend and I ‘ooh and ah’ as we walk across the lawn and through the luscious garden. The old historic building started out as an ornamental Pavilion on a waterfront estate back in the early 1900s, then became a weekend recreational playground used by Grace Bros employees (think bowling greens, tennis courts, cricket pitches and a small golf course). In 1917 until 1991, the Swiss chocolate giant, Nestle, built a chocolate factory adjacent to the building and used it as offices then a recreational clubhouse for factory employees. Since then, the building has been brought back to its former glory but unfortunately is hemmed in on two sides by residential apartments, a tennis court and swimming pool. Nonetheless, it’s a great find in – if you aren’t from the area – a secret Sydney suburb. There’s lot to keep you occupied as you wait for your meal. Ovvio organic teas and Princess Pantry jams/relishes to browse through plus a general sticky beak around the high ceiling open plan property. 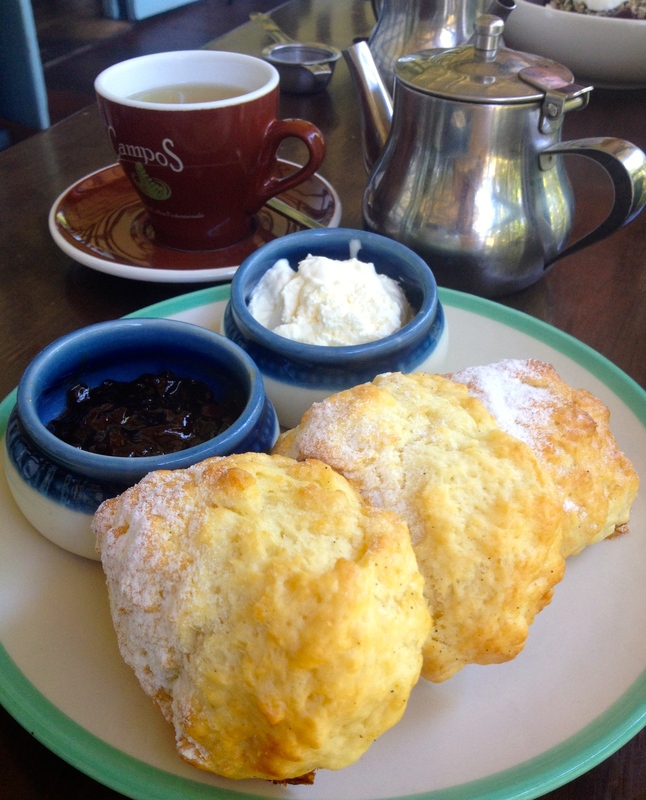 My scones arrive times three – nice – and are homemade, fresh and creamy. The waitress tells me the jam is Granny Smith apple and strawberry but I would never have picked it. The cream is freshly whipped, and thick enough but melts in the morning heat and girlie conversation. Overall: A tucked away secret slice of history.